Featuring Dark Passions Tribal Grunge Nail Appliers at The Secret Affair & Venge Reaper Earrings at The Underdog Event. 🔴 New! Dark Passions Tribal Grunge Nail Appliers at The secret Affair until July 5. Omega, Maitreya, Slink hand and feet Nail Appliers with a hud of 6 options for 150L. 🔴 New! 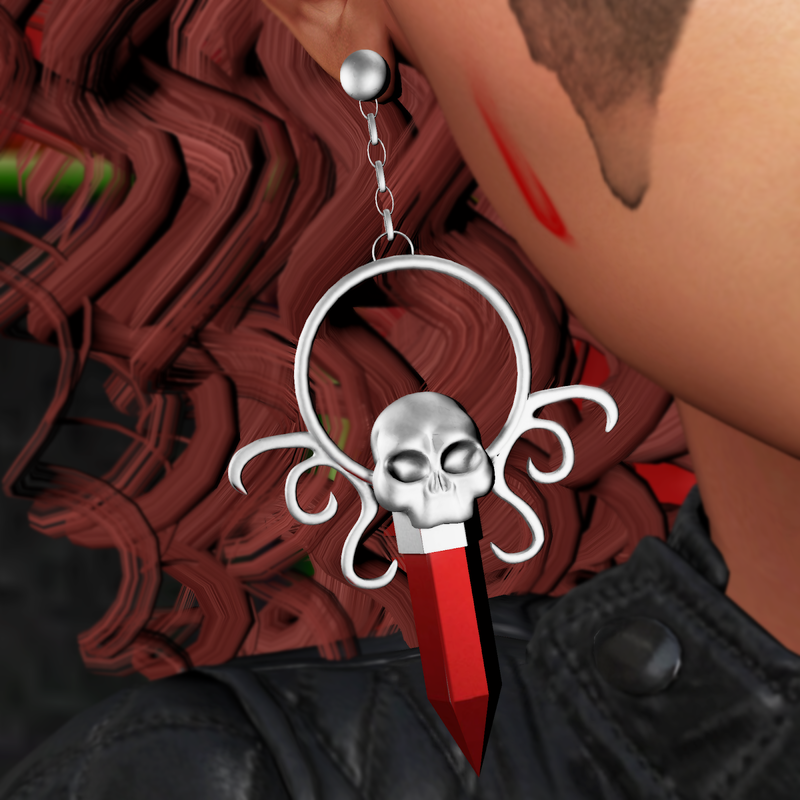 Venge Reaper Earrings at The Underdog Event until July 8. Earrings are modify/copy and come with a silver and gold color hud of 7 gemstones color options for 99L. Eyes/Tears: Aii by Devilaii - New! Radioactive Eyes. Skin: Atelier Pepe by Eliya Pepehair - New! Siena for PocketGacha until July 14. Makeup: This Is Wrong by Eva Artemesia - New! Death Makeup at Suicide Dollz until June 29. Jacket: RKKN. by Keon Xenga - New! Quilted Leather Jacket at Shiny Shabby until July 15. Visor: Violetility by Gwen Ferox - The visor. Hair: Phoenix by Lilly Herberg - New! Sunny for FaMESHed Go until July 10. Pose: QueenB Poses by Isabella Taylor - Hand Model 3.